This is an evolution of a feature that we had. Before you were able to add comments to articles, now you have the ability to add an intro summary to the article of up to 1,000 characters (screenshot below as an example). You will also notice a few other tweaks including up and downvoting change of icons, plus engagement scoring of articles symbolized by ∑. To us, a story arc is a way of grouping together articles/content which create their own theme or story. You can add summary descriptions to these arcs and have several arcs within the same board. 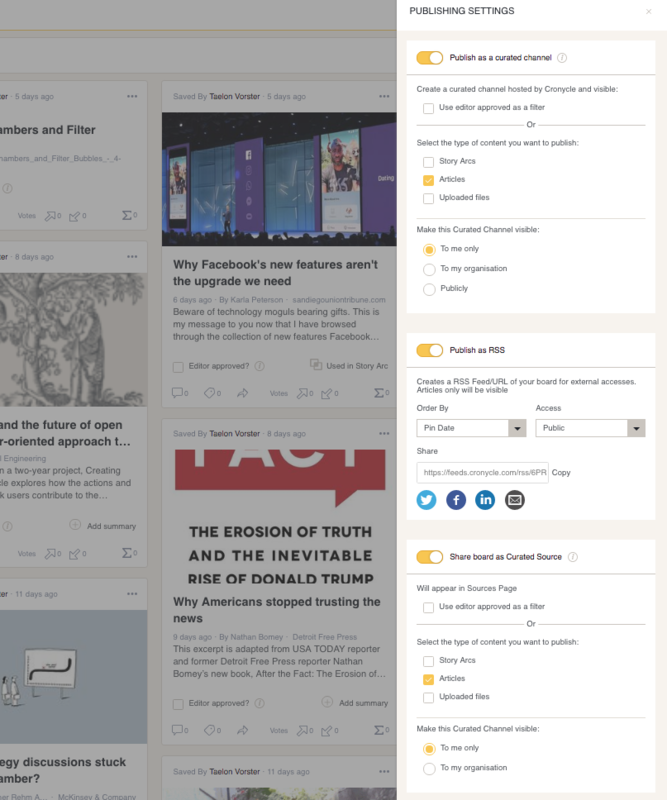 We wanted to ensure you as a user, have a more enhanced and customizable experience with the content you have curated and selected. You can easily add to an existing arc or create several new arcs within the same board. In addition, if you want to remove an arc, you can simply delete it and the articles will remain as before on your board. You may be working in a team whether it be with a Manager or as collaborators, where other people will have input as to what content you use or publish. 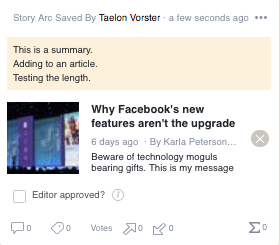 This easy way with “editor approval” means the nominated person can approve the content with the tick boxes, which means you can publish the content only, which has been approved. 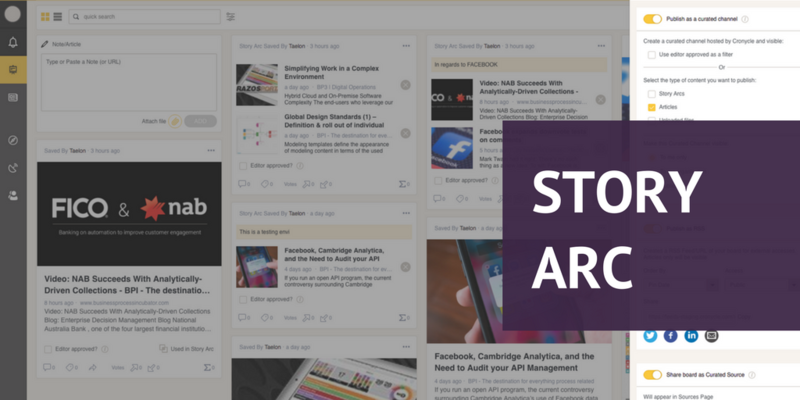 A different way of thinking about the content you are publishing, you can choose to publish editor approved only or from (and not limited to one) story arcs, articles, uploaded files. This applies for both the purposes of a curated channel and of a curated source. You may have a company newsletter or professional blog where you would like to have a stream of content for your audience to read. You can share this link wherever you like for external accesses. Articles only will be visible. The same applies, where you can allow your board to be visible to your organisation/ team as a feed, therefore, people will not have edit writes to change anything on your board but have “viewing” rights as such. Please note some of these features mentioned above are only available with our Pro plan – to find out more about the pricing packages you can see further information here.